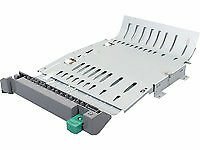 Lexmark T652 T654 T656 X651 X652 X654 X656 X658 Duplex Assembly with 2 Belts 2 Pulleys. This product is manufactured in Japan. Quality based accessories and parts.